Contract while you can! Newly developed community, Christopher Woods in Iron Station, offers ONLY 8 lots to select from. 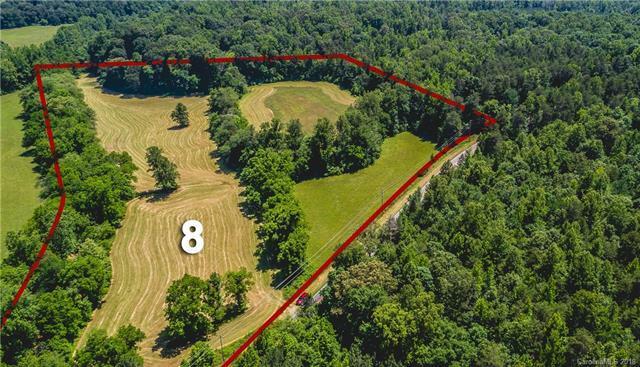 Lot 8 Christopher Road boasts 12.43 acres of cleared and wooded topography giving you the privacy you've been looking for. Wade in the creek located on this gorgeous property. Own a piece of heaven...a place to build your dream home, riding 4 wheelers, relax or retire to. Restrictions to protect your investment with Architectural Review, however, No HOA's! Located in desirable North Lincoln School district! Come discover the joy of country life tucked away from it all, yet minutes to nearby conveniences and easy commutes to Charlotte. As the saying goes "Once its gone its gone!"